In 1921, Swiss psychologist Hermann Rorschach published his methodology of evaluating patients with inkblots. For this week's Shooting Challenge, you are going to create photographic versions of his famous test. 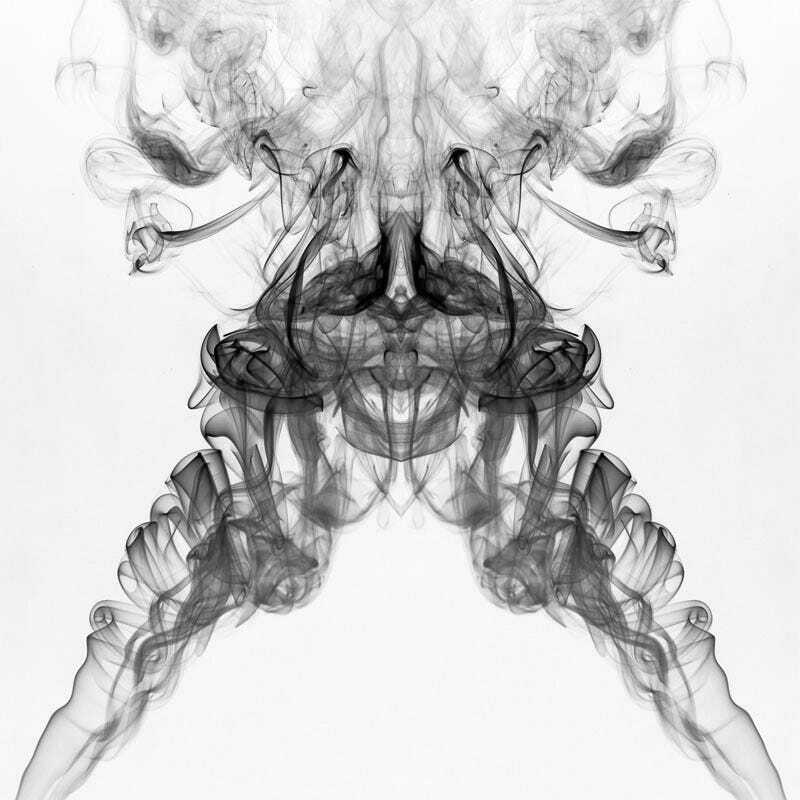 Recreate the classic inkblot in a photo. In other words, half the frame should mirror the other half. And like our awesome lead shot by Nick Page that inspired this challenge (post-processed here), IT MUST BE IN BLACK AND WHITE, with a WHITE BACKGROUND and BLACK "INKBLOT" that is your subject. Can you use Photoshop? Yes, to both convert the photos to B&W and to mirror your subject appropriately. But through aggressive lighting, you could shoot the subject in enough shadow and the backdrop in enough highlight to create a black and white effect before desaturation. You don't have to use a studio-style lighting setup, with a well-lit white wall, paper or cloth serving as the backdrop. You could always photograph something outside against an overcast sky. But if you haven't played with your own studio setup, now isn't a bad time. eHow has a simple tutorial on creating a white backdrop at home. But as Joe Pavelsek showed us in his Rorschach silhouette submission, a simple white shopping bag taped over a window can work wonders. Oh, and I guess you could always invert a pure black backdrop to appear white. That's exactly what I did with the lead shot. 2. Photos need to be taken AFTER the challenge was announced. Send your best photo by Monday, October 18th at 8AM Eastern to contests@gizmodo.com with "Rorschach" in the subject line. Save your files as JPGs, and use a FirstnameLastnameRorschach.jpg (800px wide) and FirstnameLastnameRorschachWallpaper.jpg (2560px wide) naming conventions. Include your shooting summary (camera, lens, ISO, etc) in the body of the email along with a story of the shot in a few sentences. And don't skip this story part because it's often the most enjoyable part for us all beyond the shot itself! If you like Shooting Challenges, you may also like my new photography site: Life, Panoramic. I'd love to post your photos.